Compassionate, effective psychotherapy for children, adolescents and adults in the heart of Glen Park Village. Welcome! 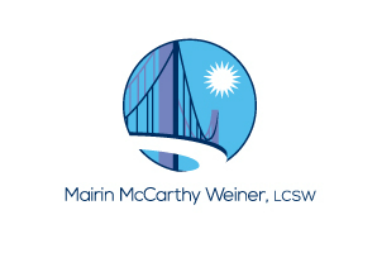 I am a licensed psychotherapist (LCS 2770) practicing in San Francisco, California. My goal is to empower my clients to become their own therapists. I teach powerful tools with decades of research backing that have been extremely successful in helping people modify unhelpful patterns of thought and behavior. Even young children can learn methods to regulate their emotions and behaviors, while having lots of fun learning new skills. I take pride in creating a warm, supportive and non-judgmental atmosphere for therapy to take place. Without feeling safe and being able to trust your therapist, even the most powerful tools cannot be effective. I understand that opening up can feel frightening and overwhelming. My first priority is creating an atmosphere of acceptance where you or your child can feel able to talk about what is really going on. I have had the privilege of meeting and working with people from a variety of backgrounds and have been providing clinical services for more than a decade in a college counseling center, research lab at a medical school, public and independent schools and private practice. I received a master's degree in social work with an emphasis on mental health and family therapy from the Brown School at Washington University in St. Louis. I graduated from Kenyon College with a dual degree in Psychology (highest honors) and Spanish and was elected to Phi Beta Kappa. Continuing training and consultation are an integral aspect of my clinical work. I have received training in pediatric hypnosis from the National Pediatric Hypnosis Training Institute (www.nphti.org) and extensive training in a cutting edge type of treatment called T.E.A.M. therapy, which blends elements of cognitive behavioral and interpersonal therapy. Each week, I attend a training group at Stanford University with Dr. David Burns, one of the fathers of cognitive therapy, where I continue to hone my clinical skills. I am an active member of the National Association of Social Workers, Association of Behavioral and Cognitive Therapies, the Northern California Cognitive Behavioral Therapy Network and the Bay Area Pediatric Hypnosis Society. Thank you for visiting my site. I look forward to hearing from you!